The Nitecore Digicharger D2 Battery Charger features a large OLED display used for reading settings such as battery life, charge status, time and finish. 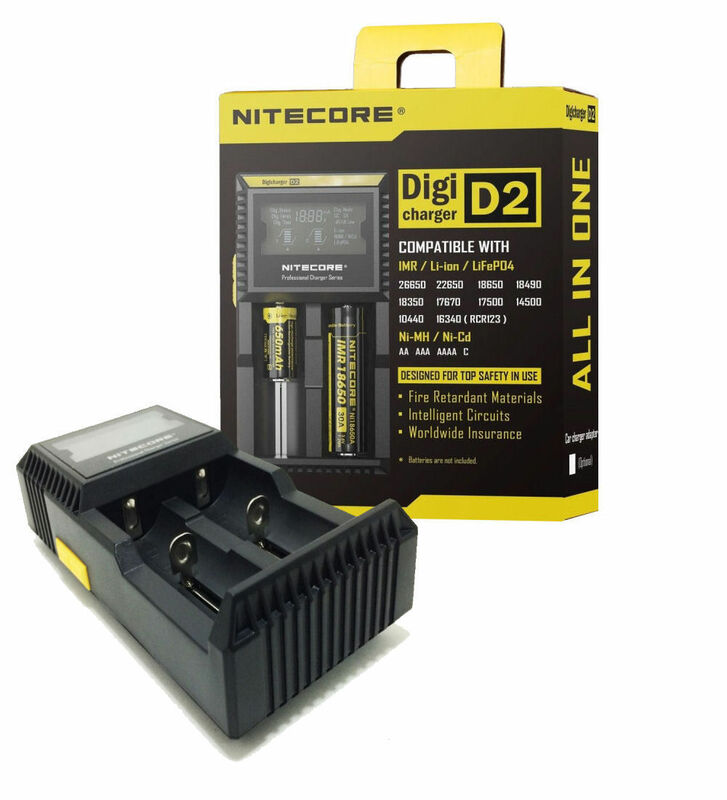 The Nitecore Digicharger D2 Battery Charger features a large OLED display used for reading settings such as battery life, charge status, time and finish. 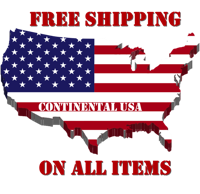 It is very versatile making it compatible with most mod style batteries and can charge up to 2 batteries at the same time. 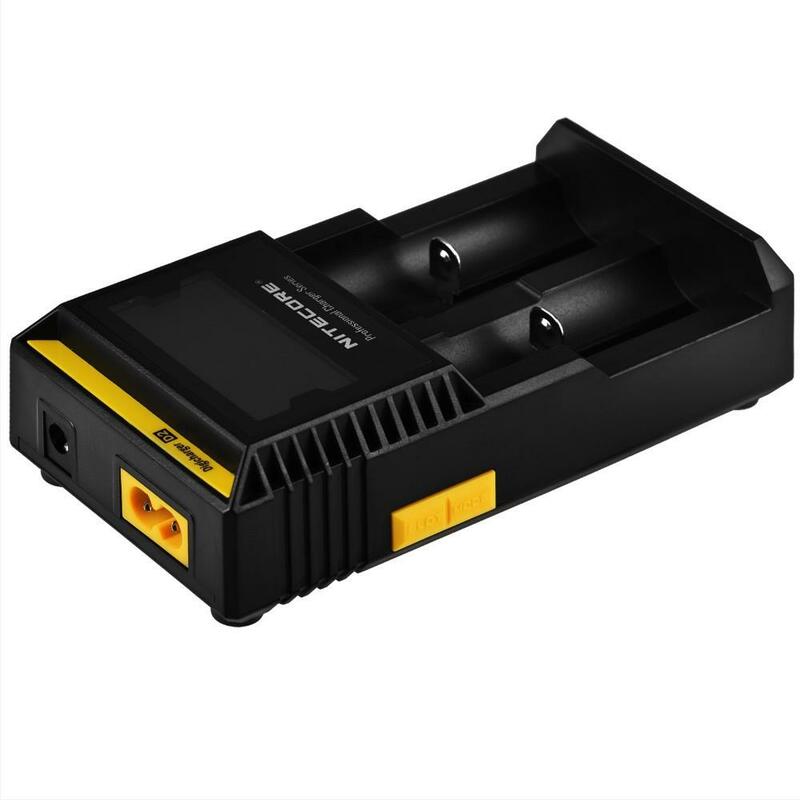 The Nitecore Digicharger D2 Battery Charger also comes with the standard safety features including overcharge, reverse charge, and over heating protection. 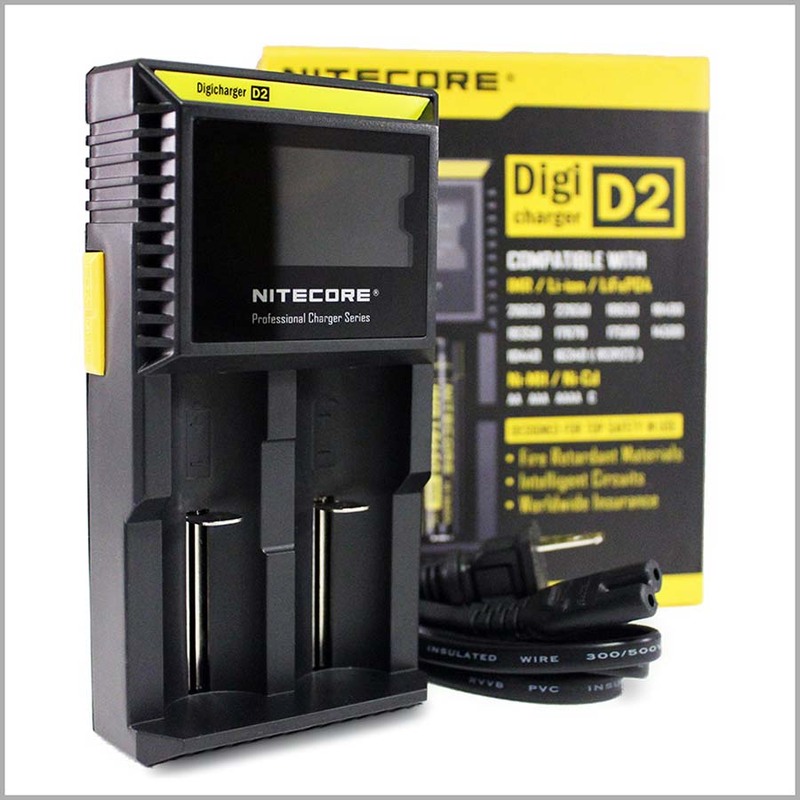 The Nitecore Digicharger D2 Battery Charger includes a 12 month standard manufacturer’s warranty.